A recent survey showed that between 13% and 24% of people suffer from a phobia of the dentist. While it might sound benign, this fear can actually cause more than just an emotional roller coaster for patients. In fact, a fear of the dentist can lead to overall poor oral health because a person hasn’t received the dental care they need to keep their mouth healthy. 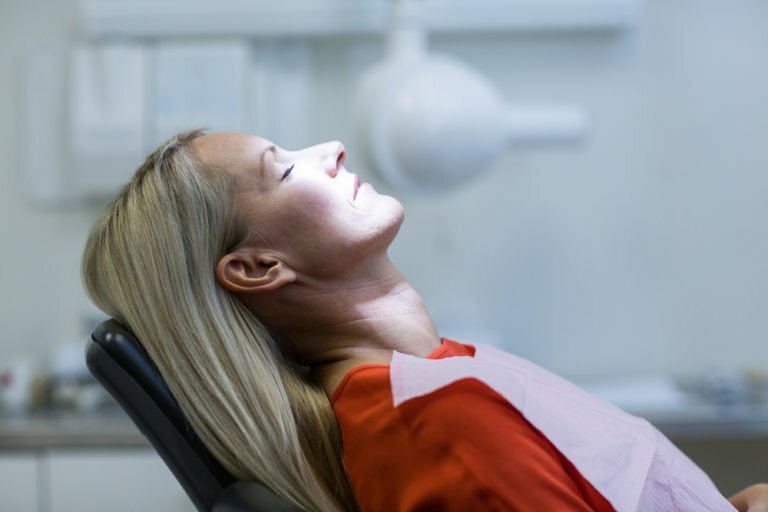 If you’re one of the many people who have this fear, there’s a variety of coping mechanisms that can help get you through your visit with the dentist. Sedation dentistry is a form of dentistry in which the patient is relaxed using medications. A mild bit of sedation might be administered using laughing gas. Typically this form of sedation wears off about ten minutes after a person is disconnected from the gas mask. They can usually drive home. Patients can also be sedated using oral medications. Typically Halcion, a relative of vicodin, is used to sedate a patient orally. This pill is taken about an hour before the procedure. When patients take this medication they are simply relaxed. A stronger dose might cause them to fall asleep, but wake up if gently shaken. The most extreme form of sedation dentistry is general anesthesia. This is when a patient is completely asleep for their visit. It’s often used for longer procedures or when a patient needs multiple procedures performed. Bring your phone in along with a set of headphones and listen to music that relaxes you. In the pasts offices used to provide devices, but most now simply encourage patients to bring in their own and enjoy listening to their favorite music. This works because it takes patients to a happy place and drowns out the noises of the office, which are enough to make anyone feel a little uneasy. If you’re like many people, oftentimes it’s the not knowing part that makes you nervous about visiting the dentist. Ask the dentist for a clear explanation of what they plan to do as well as why they’re doing it. This can help you better understand what is happening around you and process the procedures that are being performed. The structured time method of having dental procedures performed involves asking the dentist to space out your procedures so that you get breaks in between. This is often a great choice for people who have a more extensive procedure. If you have a fear of the dentist, don’t let that stop you from getting the care you need and deserve. Talk with the dentist about working through your fear and developing a technique that might work best for you. Oftentimes this includes a combination of sedation dentistry and one of the above practices. Whatever it is, it’s important you find a suitable solution for your needs.